When an engine starts its exhaust stroke, the piston moves up the cylinder bore, decreasing the total chamber volume. When the exhaust valve opens, the high pressure exhaust gas escapes into the exhaust manifold or header, creating an exhaust pulse comprising three main parts: The high-pressure head is created by the large pressure difference between the exhaust in the combustion chamber and the atmospheric pressure outside of the exhaust system. As the exhaust gases equalize between the combustion chamber and the atmosphere, the difference in pressure decreases and the exhaust velocity decreases. 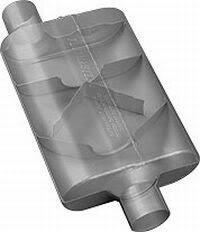 This forms the medium-pressure body component of the exhaust pulse. 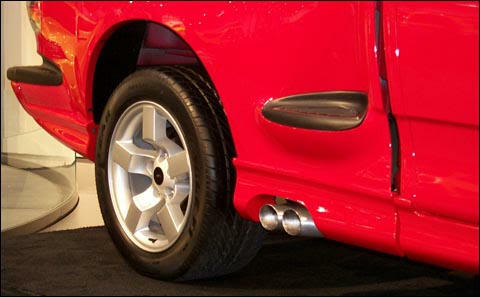 The remaining exhaust gas forms the low-pressure tail component. This tail component may initially match ambient atmospheric pressure, but the momentum of the high- and medium- pressure components reduces the pressure in the combustion chamber to a lower-than-atmospheric level. This relatively low pressure helps to extract all the combustion products from the cylinder and induct the intake charge during the overlap period when both intake and exhaust valves are partially open. The effect is known as scavenging. 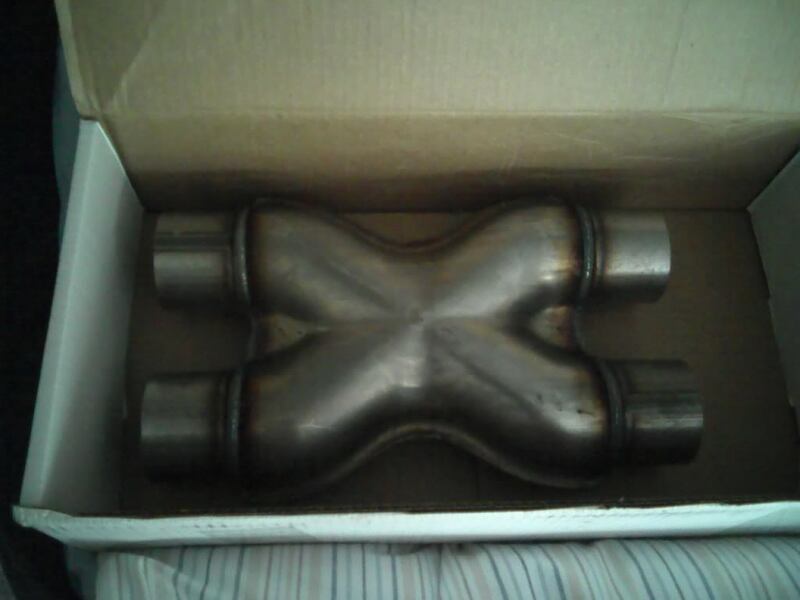 Length, cross-sectional area, and shaping of the exhaust ports and pipeworks influences the degree of scavenging effect, and the engine speed range over which scavenging occurs. The magnitude of the exhaust scavenging effect is a direct function of the velocity of the high and medium pressure components of the exhaust pulse. 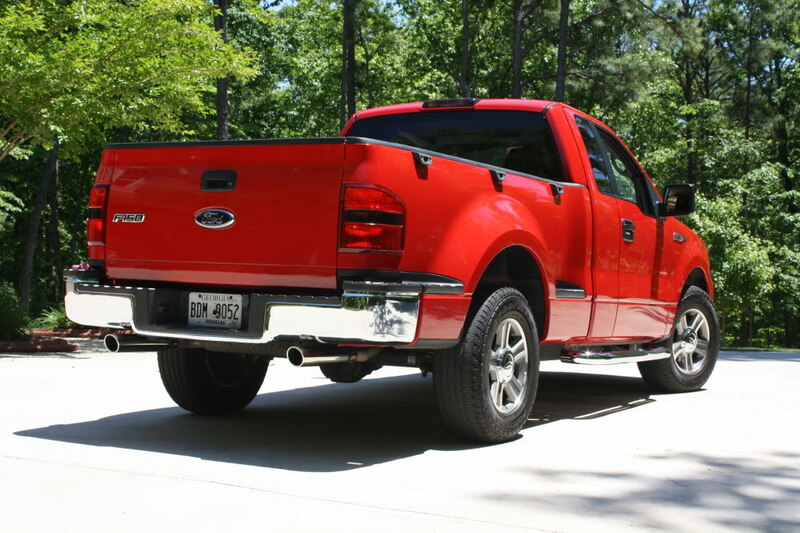 Performance headers work to increase the exhaust velocity as much as possible. One technique is tuned-length primary tubes. This technique attempts to time the occurrence of each exhaust pulse, to occur one after the other in succession while still in the exhaust system. The lower pressure tail of an exhaust pulse then serves to create a greater pressure difference between the high pressure head of the next exhaust pulse, thus increasing the velocity of that exhaust pulse. In V6 and V8 engines where there is more than one exhaust bank, Y-pipes and X-pipes work on the same principle of using the low pressure component of an exhaust pulse to increase the velocity of the next exhaust pulse. Many headers are also resonance tuned, to utilize the low-pressure reflected wave rarefaction pulse which can help scavenging the combustion chamber during valve overlap. This pulse is created in all exhaust systems each time a change in density occurs, such as when exhaust merges into the collector. For clarification, the rarefaction pulse is the technical term for the same process that was described above in the "head, body, tail" description. By tuning the length of the primary tubes, usually by means of resonance tuning, the rarefaction pulse can be timed to coincide with the exact moment valve overlap occurs. Typically, long primary tubes resonate at a lower engine speed than short primary tubes. One thing that I get tired of hearing is the concept that engines need back-pressure. Simply, there is no properly tuned engine where increasing exhaust back-pressure causes an improvement - in power, torque or fuel economy. One of the reasons that this idea has gained support is because when people change their exhaust they seldom check the air/fuel ratio or re-map the ignition timing to once again give optimal performance. For example, some MAP sensed cars drop substantially in power with a large exhaust fitted because they are then running lean. 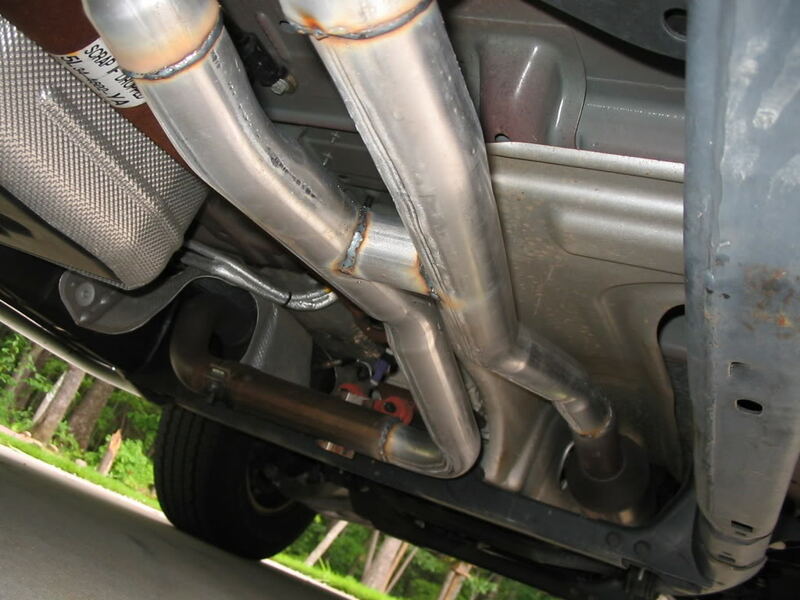 Atmospherically inducted cars that use a tuned length system to improve cylinder scavenging (via extractors, for example) are sensitive to exhaust diameters within the tuned length part of the system. 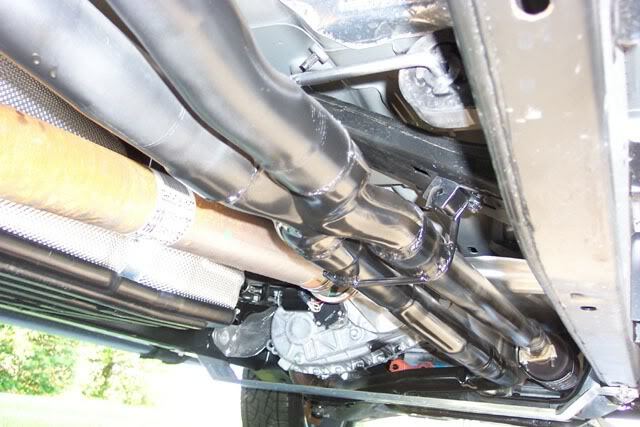 This means that the maximum effect of exhaust pulsing may come from an exhaust system that is small enough that some exhaust back-pressure is developed. However, that is a quite different concept to saying that engines "need" exhaust back-pressure! Turbocharged engines require as big an exhaust as possible, with the same applying for naturally aspirated cars once the tuned length part of the exhaust is passed. Few tests have been done that clearly show the affect of changing back-pressure. 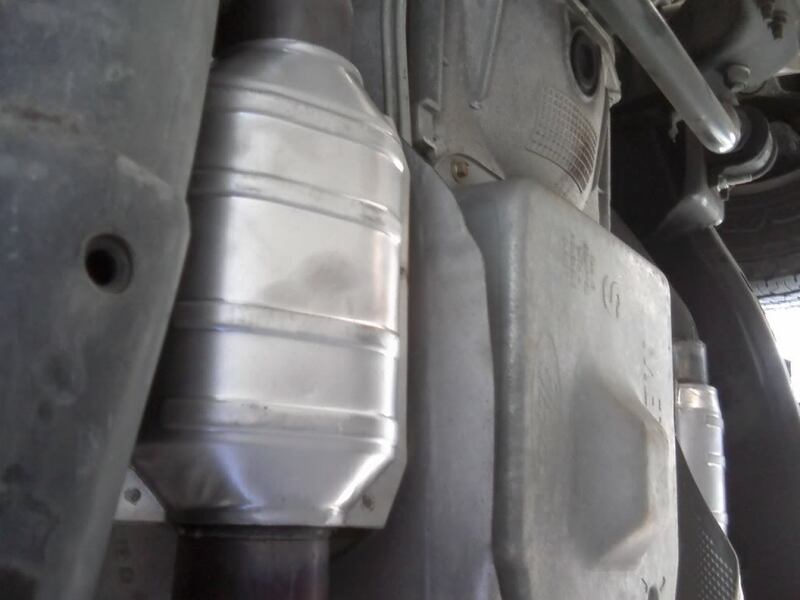 Most muffler and exhaust comparison tests change more than one parameter simultaneously, making the identification of exhaust back-pressure as a culprit difficult. However, Wollongong (Australia) mechanic Kevin Davis is one who has done very extensive testing of varying back-pressure on a number of performance engines. These range from turbocharged Subaru Liberty [Legacy] RS flat fours to full-house traditional pushrod V8's. In not one case has he found any improvement in any engine performance parameter by increasing exhaust back-pressure! 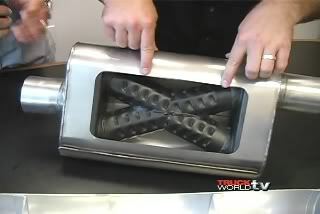 The tests came about because Kevin has developed a patented variable flow exhaust that uses a butterfly within the exhaust pipe. He initially expected to use the system to cause some back-pressure at low loads "to help torque". However, he soon changed his mind when any increase in back-pressure proved to decrease torque (and therefore power at those revs) on a properly tuned engine! 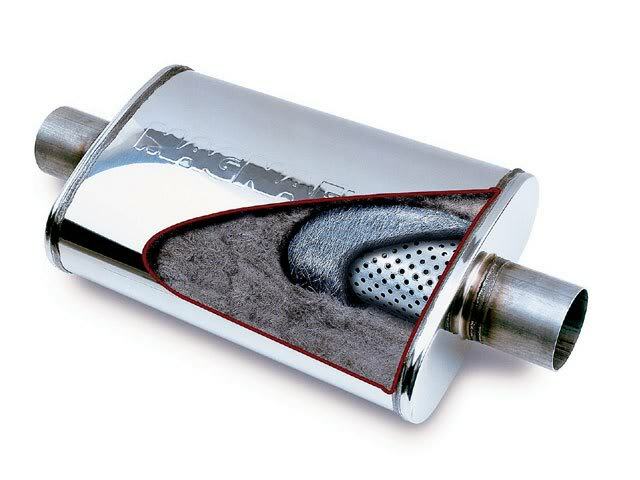 What increasing the back-pressure does do is dramatically quieten the exhaust. One of the engine dyno tests carried out by Kevin was on warm 351 4V Cleveland V8. 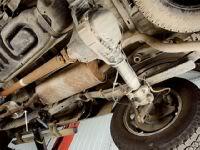 Following the extractors, he fitted a huge exhaust that gave a measured zero back-pressure. Torque peaked at 423 ft-lb at 4700 rpm, with power a rousing 441hp at 6300 rpm. He then dialled-in 1.5 psi back-pressure. Note that very few exhausts are capable of delivering such a low back-pressure on a road car. Even with this small amount of back-pressure, peak torque dropped by 4 per cent and peak power by 5 per cent. He then changed the butterfly position to give 2.5 psi back-pressure. Torque and power decreased again, both dropping by 7 per cent over having zero back-pressure! 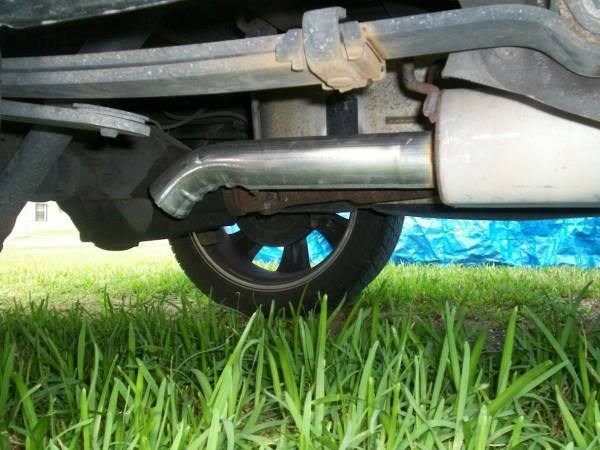 And if you still believe that exhaust back-pressure improves performance, simply block off part of your exhaust outlet and see if your car goes any faster! Last edited by 4.6 Punisher; 04-29-2011 at 09:59 AM. Nice write up. 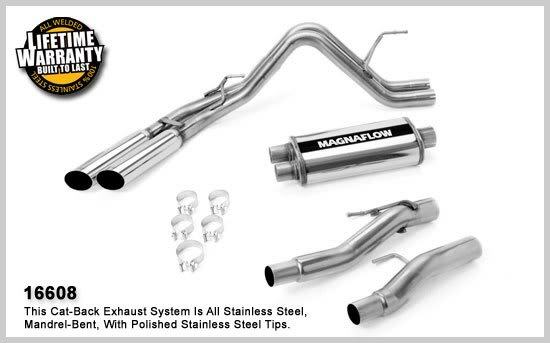 I wish this was made when i was exhaust hunting! Can the admin or a mod make this a sticky? Last edited by 88racing; 09-16-2010 at 06:51 PM. I knew I forgot something! I'll add it sooner or later. Now I can cross one thing off my "to do in life" list. Nice Writeup. Very good information. Could videos of different set ups be added, such as SISO vs. SIDO vs. true duals? You really can't get a good feel for the different configs by using videos. Cameras vary too much and can skew everything. A SISO with a great camera and mic can sound leagues better than mine with my crappy cam. Mr. P - are you pulling for Emperor Junior? - Cats. The different types, their contribution to scavenging via heat retention, their Federally mandated legality, placement / replacement / count reduction (2 hiflows to replace 4 OEM), effects on sound, etc. - Tubing. Mandrel, crimped, etc. Stainless grades versus, aluminized, etc. - Tips. Effect on sound, placement / exit, types, etc. - HEGO's. What they are, what they do, their importance, Maintenance, etc. - Where to buy. List of vendors, any coupon codes, who to avoid, etc. HOPEFULLY this will stop some of the threads asking the difference between SISO and SIDO! Yeah and get rid of all these useless posts as well. I knew I forgot a **** ton of stuff! I'll get to all those topics tomorrow. By the way, WTF is a HEGO?